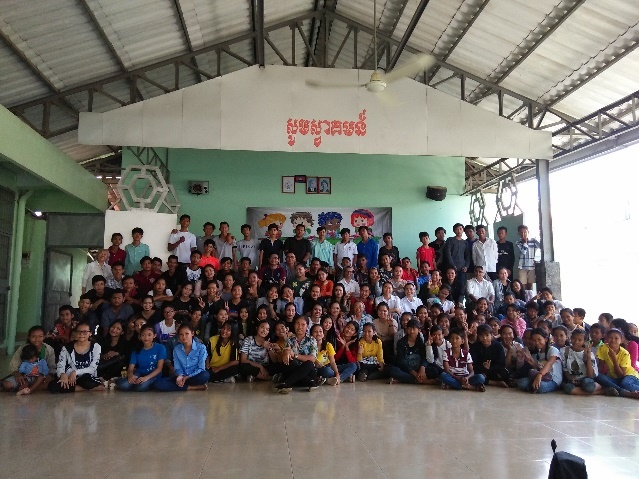 The first meeting of the Past Pupils of Don Bosco School was organized after the official beginning of the new community in Phum Chreh by Sr. Maria Thao and the Sisters on September 14, 2018. 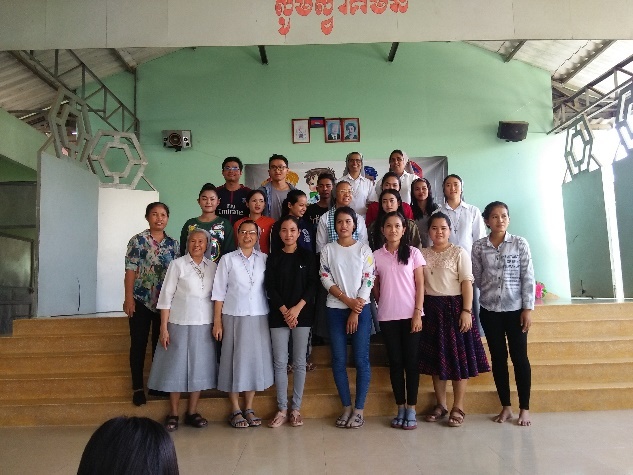 Sr. Maria had invited Sr. Elizabeth Ophrinii the pioneer of the mission in Chreh and Sr. Leeza John Kokkatt, the responsible of Past pupils, Cambodia to join the meeting. 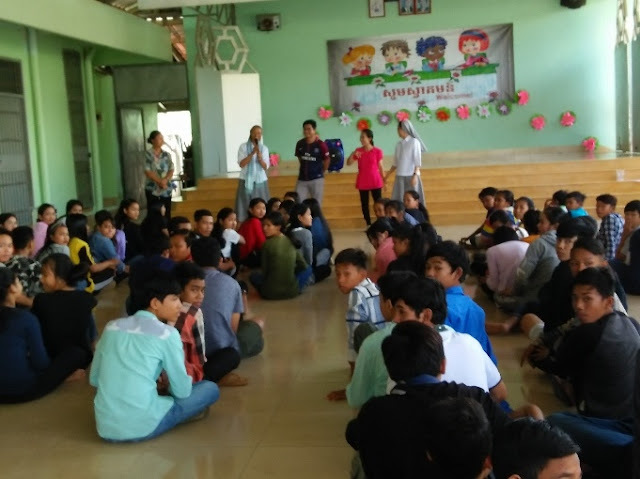 It was a day of great joy to see about a hundred young boys and girls that had completed studies in the school, gather together with openness and simplicity at their alma mater. Sr. Maria welcomed them and introduced the sisters and the teachers. 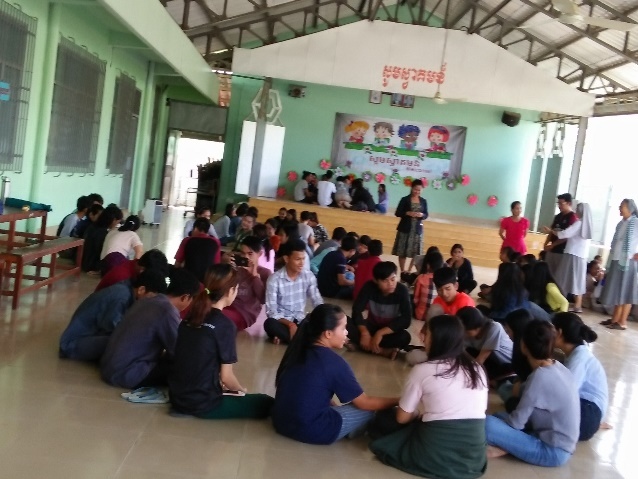 Sr. Leeza spoke to them about forming the Past Pupils Union in Phum Chreh and the events which will be involving them in preparing for the grand meeting with Sr. Phyllis Fma, the general councilor in the Institute. Sr. Maria gave them some points to share in groups and in the general assembly. One of the boys Veasana who just has just come back from Vietnam after studying Engineering, recalled his humble beginning in Phum Chreh with Sr. Ophriini. He is so grateful for the education given by the sisters. Many others too shared beautiful experiences that they had in their school years . All of them realize that the basic education and the formation given by the sisters helped them to reach to present position (teachers, accountants, engineers, ….) It was indeed a satisfying experience for the Sisters, teachers and parents to see those young boys and girls growing with dignity of life.